Join your friendly guides Fulton and Cynthia on a biblical adventure as they journey from creation to salvation and discover the importance of God’s sanctifying grace. 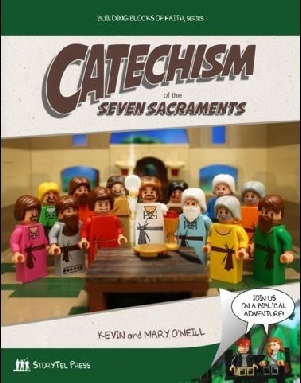 Set in a vivid comic-book format with stunning photographs, this book makes profound theological concepts accessible to both the Catholic and the curious, the child and the adult. Following Pope Emeritus Benedict XVI’s teachings on Covenant Theology, this book sheds light on the parallels between the Old Testament and the New Testament and the sacraments instituted by Christ that we experience today. Readers will develop a deeper understanding of salvation history, discover how to participate in God’s covenant, and learn how to obtain grace through the sacraments, which are essential on our lifelong journey to the Eternal Promised Land. Kevin and Mary O’Neill and their seven children are the creative minds and dedicated hands behind this book. When Kevin and Mary discovered questionable interpretations in a popular brick-illustrated Bible, they took matters into their own hands and created this book with the help of their children. 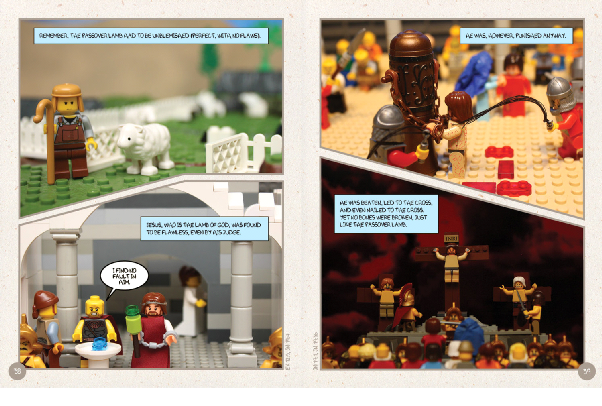 Using thousands of their own toy building blocks, they constructed and photographed each scene illustrating the Catholic sacraments, while weaving a biblical narrative of salvation history.